Sign up to be notified when updates to March (comic version) are posted! "March" is the first comic in the Blue Daisy trilogy! Click here to read it on Webtoon, or click the book cover to read it on janeconquest.com! Five teens wake up in a sinister prison with no idea of where–or who–they are. Join Jay, Will, Nick, Abbie, Leanne, and others through their intricate journey of love, loss, friendship, deceit, and power as they attempt to piece together their lives before the mysterious SCAR facility, even if those memories might not all be pleasant. This is the first book in the Blue Daisy trilogy. Click on the cover to read "Bones", and fill out the form to sign up to receive email notifications when Bones is updated. Sign up to be notified when updates to Bones (comic version) are posted! "Bones" is the second comic in the Blue Daisy trilogy! The version posted to janeconquest.com is not redrawn; it will be redrawn entirely after I finish redrawing "March". The only version (eventually) posted to Webtoon will be the redrawn version. Click on the book cover to read "Bones" on janeconquest.com! Fill out the form to sign up to receive email notifications when Bones is updated. Eighth graders Arya and Gail suddenly find themselves caught up in the heart of a devastating zombie apocalypse. Cannibalistic Hungries roam the streets as fire spreads, chaos ensues, and a mysterious group of survivors try to find answers. Join Arya, Gail, Andy, and others in this tale of struggle, friendship, love, and strength. This is the second book in the Blue Daisy trilogy. Fill out the form to sign up to receive email notifications when Cobra is updated. 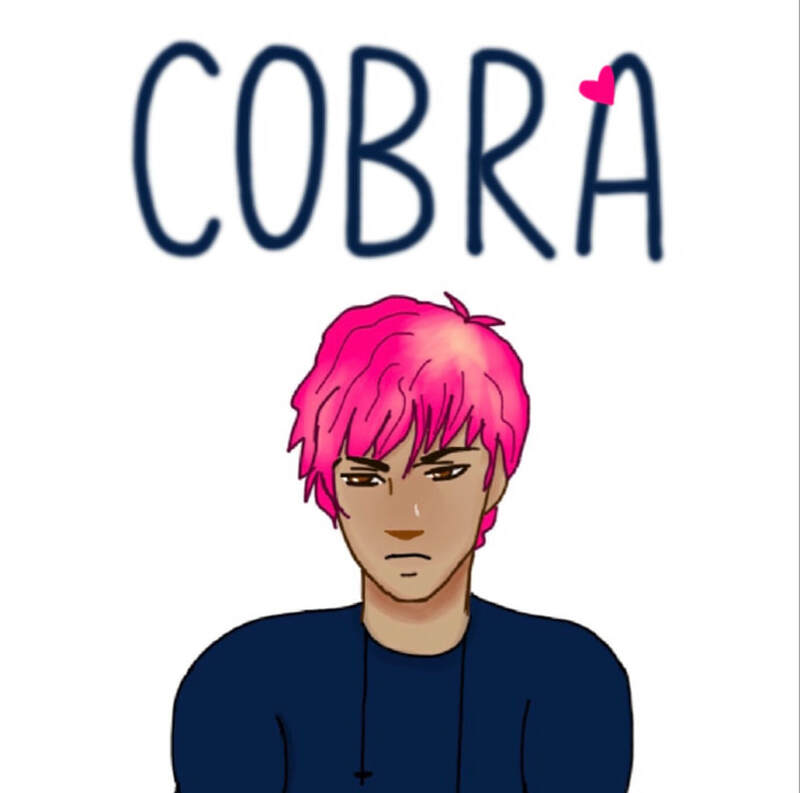 Sign up to be notified when updates to Cobra (comic version) are posted! Fill out the form to receive email notifications when Cobra is updated. In the epic conclusion of the Blue Daisy trilogy, our heroes from March and Bones join forces to take down the tyrannical Cobran Empire, and bring an end to the sadistic S.C.A.R's rule once and for all. This is the third book in the Blue Daisy trilogy.